In 2018, artists Andrea Anner and Thibault Brevet came together to form AATB, a collaborative practice centered around the use of non-industrial robotics. 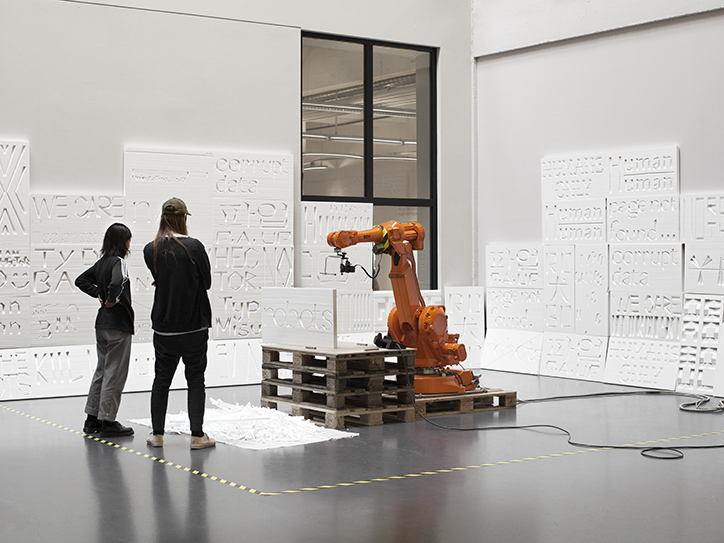 Experimenting with industrial robotic systems, the artists explore how these machines can be used as a new medium for purely creative and artistic purposes. Based in Marseille, the duo may be at the forefront for a new trend for artists and designers. Because of the technical, and monetary barrier to entry, robotics has barely made it’s way into the art world, but thanks to new developments that make it safer and easier for non-experts to programme these machines, an increase in interest has stirred among creatives. 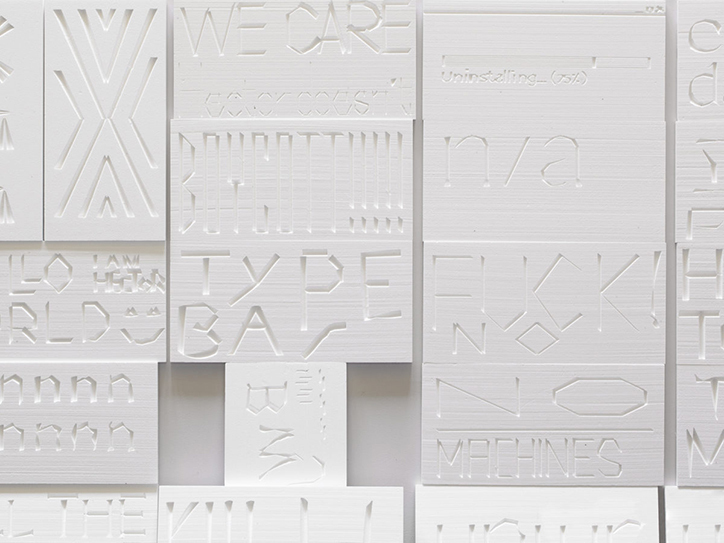 Last year, the duo returned to their alma mater, ECAL, to create signage out of machines inspired by 19th Century Linotype typesetting, collaborating with the new crop of students. Much like the protests and strikes that followed the automation of labor more than a hundred years ago, students created protests signs directed at the new technology. Over the years, AATB has drummed up innovative projects from machines that explore counter-productive robots, to a robotic arm that works with a metal rod to convey time, mimicking the Sun much like the ancient Japanese clock, the Wadokei. Continue to follow AATB’s thoughtful insights into what may possibly lie in the future of robotics here.